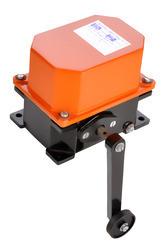 We are leading manufacturer of Crane Limit switches in various range. 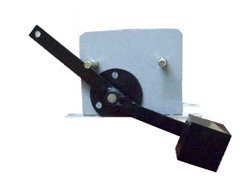 Limit Switch is to stop the mechanism of drive at the extreme clock wise / anti clock wise position. 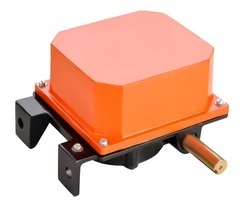 These rotary limit switches are particularly suited for use on reversing drives such as electric hoists, winches, over head cranes and traverse. Rotary geared type limit switches are suitable for use reversing drives such as hoists, winches, rolling mills and various other mechanisms used such used in steel plants such as coke oven and feeding machinery. Rated Voltage Insulation 500 V.A.C. Embicon is the leading manufacturer & exporter of Hoist Gear Limit switches.Hoist Gear Limit switches has been designed and manufactured according to safety standard are suitable for use on reversing drives such as hoists, cranes, winches and rolling mills etc. The driving motion is transmitted by worm gear. All gears and hubs are made of low wear thermoplastic. 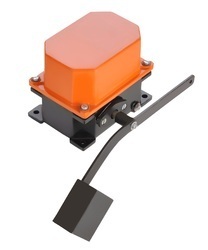 The rotational movements are transmitted to switches by adjustable cams. Each lever has a single micrometric resister screw.This screw exclusively works on its own combined lever, excluding any mechanical contact with any other next to it. The regulation is easily made by use of screwdriver on a register screw. The special friction system assures a rapid and precise adjustment.